Tired of eating with tourists? Want to eat where Tokyo locals actually eat? Then check out our guide to some of Tokyo’s best local restaurants. If you crave authentic local food and want to dine with the locals, this page is for you. The other restaurants on this site are all great, but they’re all fairly well known to tourists. The restaurant on this page are largely unknown to foreign travelers and have a local clientele. However, most have some form of English menu. In cases where they don’t, we give you some menu translations so that you can order with confidence. 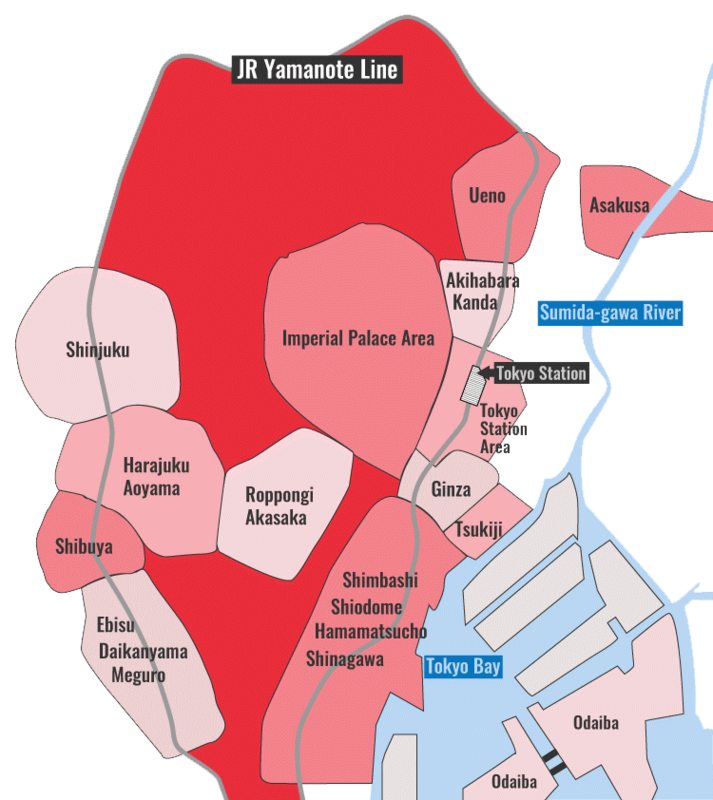 Most of the places listed here are reasonably priced, because locals certainly know the best values. The restaurants here are divided by district, so you can easily find a great local restaurant near you. A short walk from Shinjuku Station takes you to Funabashiya, which is the place to go for elegant, tasty tempura set meals. Need to impress someone with slightly more upscale surroundings, but also need to keep dinner affordable and delicious? 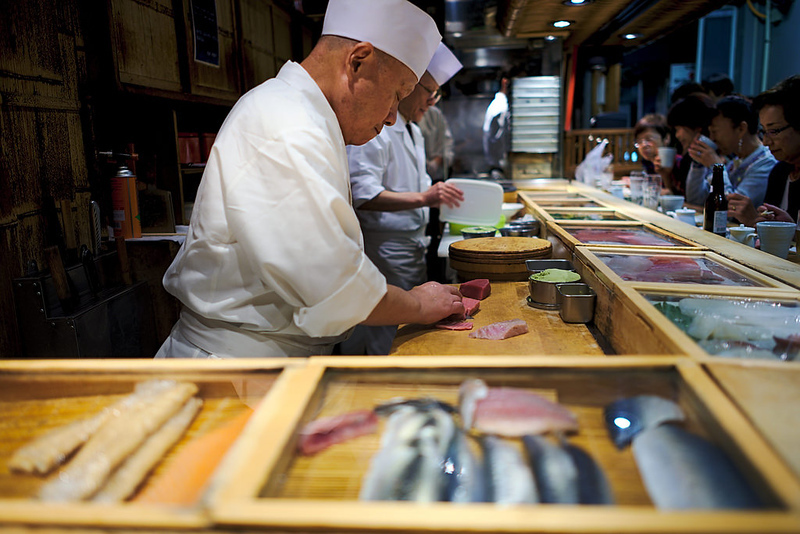 Check out En in Shinjuku, the izakaya that ticks all these boxes and more. Kabuto, in Shinjuku’s Piss Alley, takes you back to 1950s Tokyo with its no-frills head-to-tail (unagi) eel dining experience. 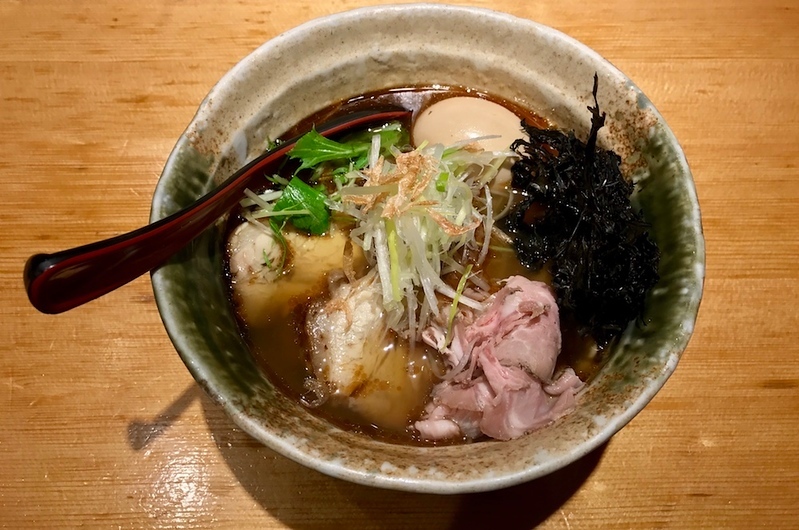 If you find yourself craving some delicious ramen in Shinjuku, Takahashi’s fantastically smoky ramen bowl will save your stomach and your soul. When the fun and games are over and the hangover starts calling at 3am, few things are better for your soul than a janky bowl of ramen. Roast Beef Abura Soba Beefst in Shinjuku is the place to head to for your messy late-night noodle fix. For a great bowl of Hakata-style ramen in Roppongi, try Mengekijo Genei. It’s truly delicious and it’s MSG-free! 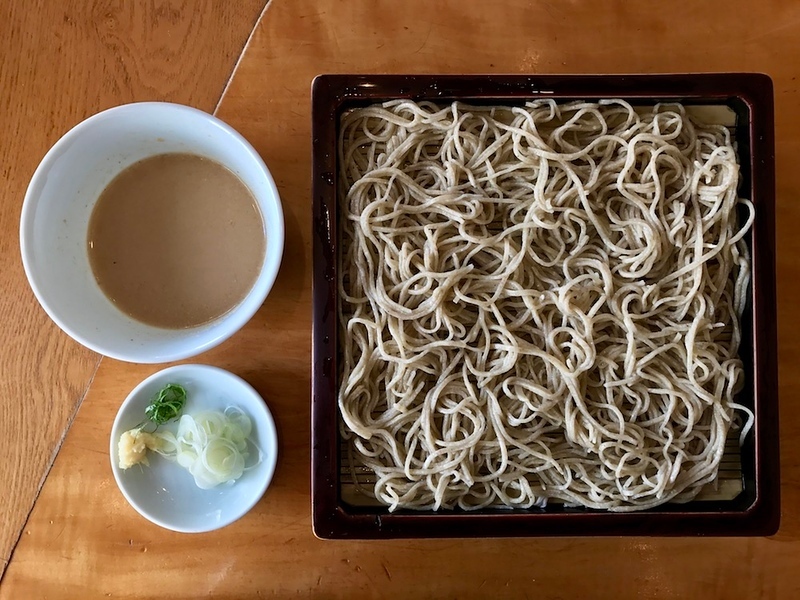 For a slow lunch of soba in serene surroundings, try Honmura-an in Roppongi. It’s an oasis of calm amid the chaos of Roppongi. For fabulous, inexpensive fare at the friendliest izakaya in town, head over to Shirube in Roppongi. 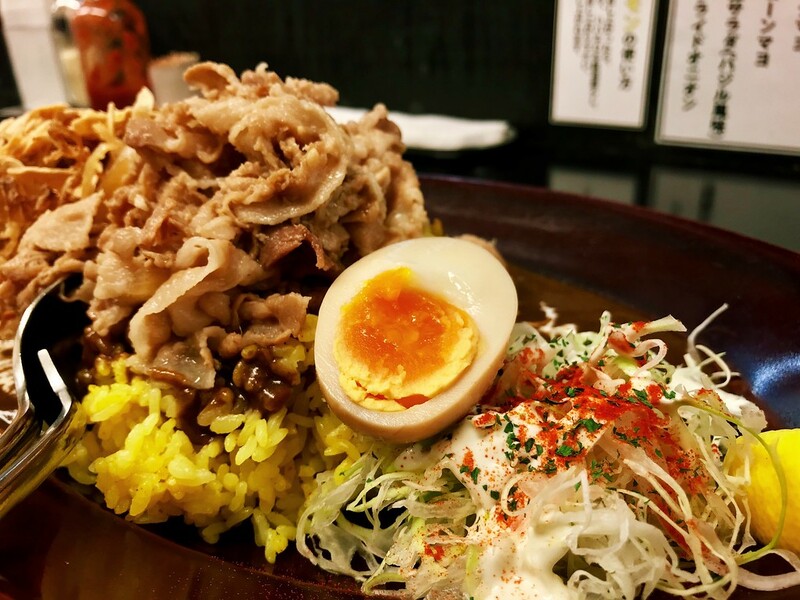 Craving a quick meal in Roppongi? Head to Butagumi Dining - a casual tonkatsu restaurant taking this B-grade cuisine staple to heavenly heights. For slightly upscale but unpretentious, umami-packed Hakata-style grilled skewers, Jomon in Roppongi hits the spot. For hearty, homestyle Okinawan cooking, check out Chanpuru-ya, an underground izakaya in Ginza. Ginza doesn’t have to be all about pricey eating. 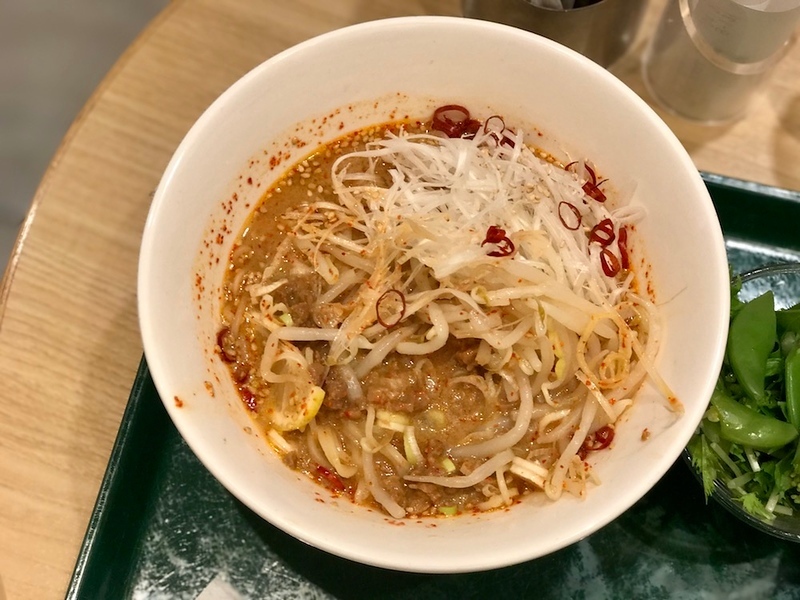 Yomoda Soba is a down-to-earth canteen-style soba and curry operation that’s a great choice for a quick, inexpensive meal. Sometimes eating like a local means queuing like a local. Thankfully, at Mugi to Olive in Ginza, the lines don’t last long – which is a boon when you want some good shoyu ramen. 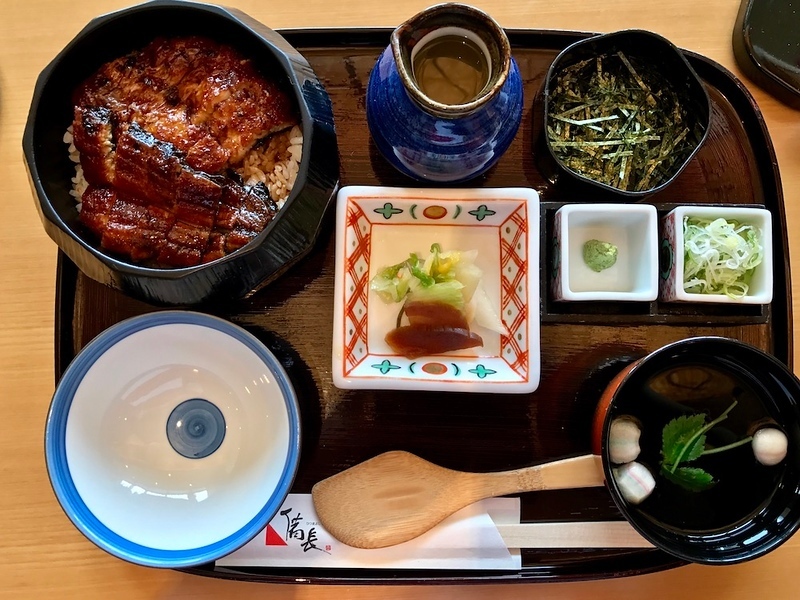 If you’d like a refined meal of unagi while exploring Ginza, then this Nagoya-style restaurant is sure to please. Mochiku is an intimate, counter seating-only tempura restaurant in a quiet part of Ginza. The food? Delicious and unpretentious, if slightly unorthodox for tempura. 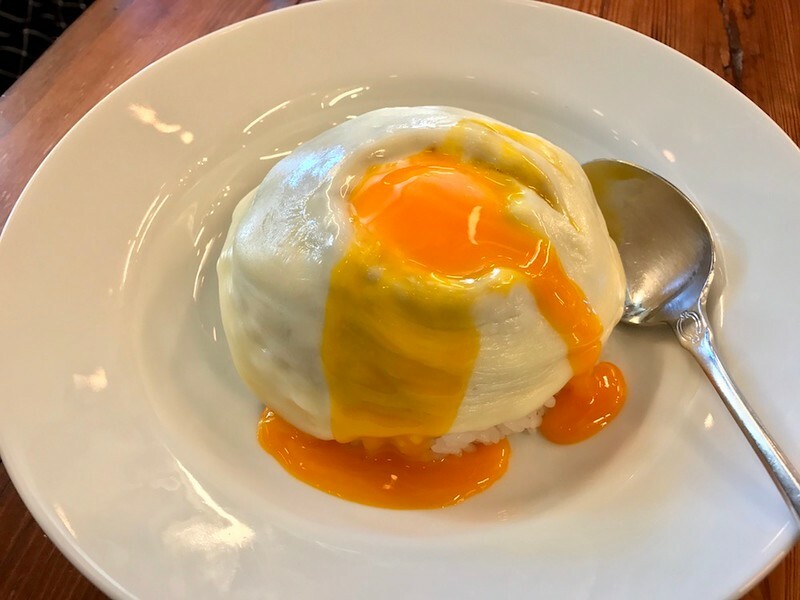 If you’re looking for a healthy lunch option for a reasonable price in Harajuku, then head to t.shizen, an unassuming neighborhood teishoku (set lunch) spot that’s popular with the local office workers. Afuri’s chicken-based yuzushio ramen might be light on the fat, but it sure is heavy on the flavor! It’s one of the best bowls of ramen in Harajuku. 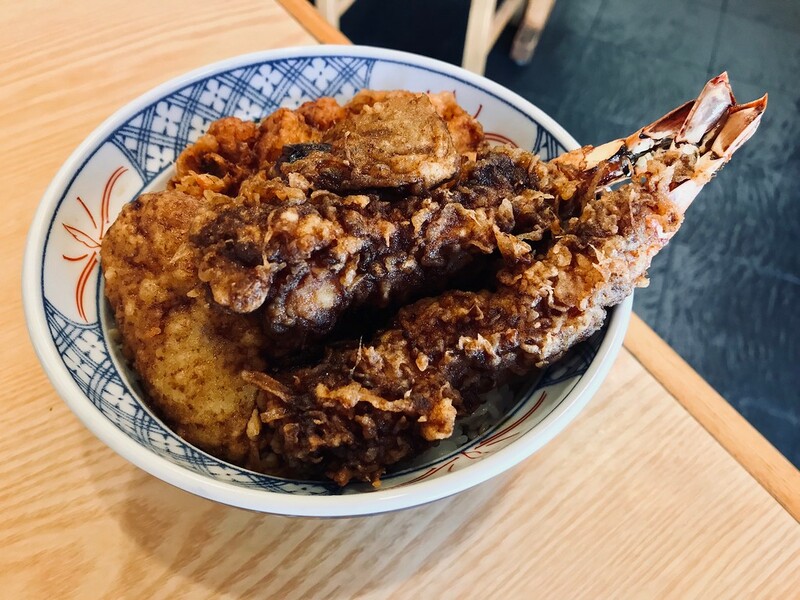 Looking for tonkatsu in Harajuku? Skip the queues at Maisen and visit Fukuyoshi instead - a charming mom n’ pop shop with tasty pork cutlets. 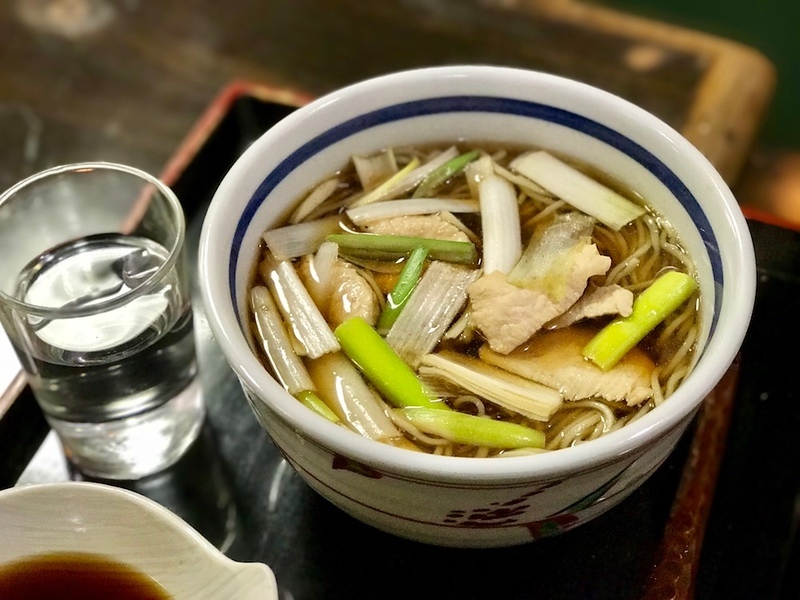 For high-quality soba noodles in quiet, relaxed surroundings, Teuchi Matsunaga Soba is a great choice when you’re in the Harajuku area. Mokubaza’s keema curry is the heavenly holy trinity of stewed meat, melted cheese and egg yolk. It’s a great way to fill up while exploring Harajuku or Shibuya. In an underground restaurant in Harajuku, BagBag serves up Hokkaido soup curry that’s like a hug for your stomach. Mi no Ringo’s keema curry is saucy, soul-warming, and spicy - a perfect lunch break on a chilly autumn day in Harajuku. Wander down Omotesando’s back streets for solid set meals at this hole-in-the-wall teishoku restaurant. 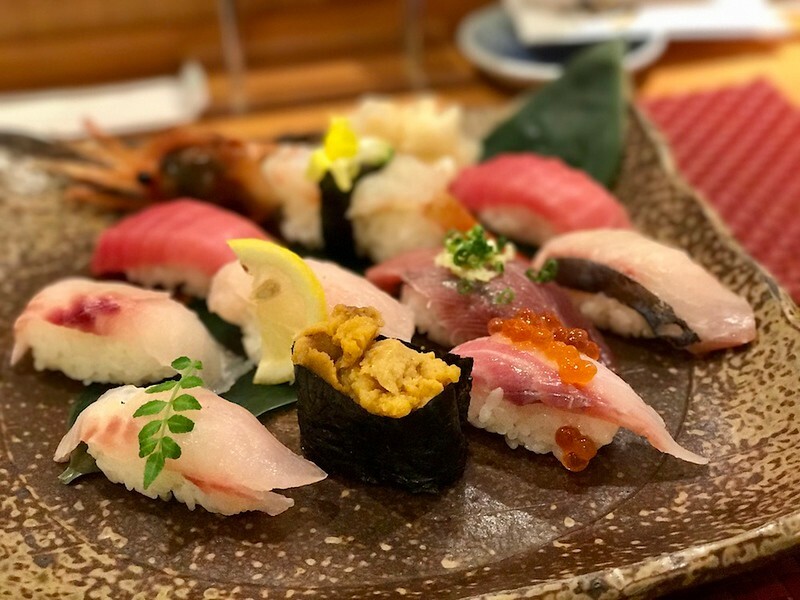 There’s no shortage of high end sushi restaurants in Tokyo, but very few can match Manten Sushi Marunouchi’s cost performance in this category. This is one of the true must-visits for affordable sushi dining. Curry rice isn’t pretty, but it is soulful and immensely satisfying. Karē wa Nomimono in Akihabara serves voluminous plates of curry rice that’s pure comfort food on every level.